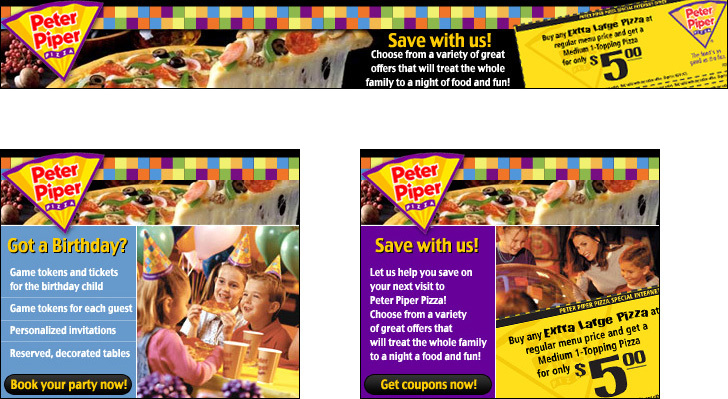 For this project, I was asked to design a family of banner ads for Peter Piper Pizza. The goals of the campaign was to generate coupon downloads and increase party bookings at Peter Piper Pizza locations in the Tucson area. The ads ran across the Arizona Daily Star and Tucson Citizen websites.